We are a leading Manufacturer of pvc films for black board from New Delhi, India. 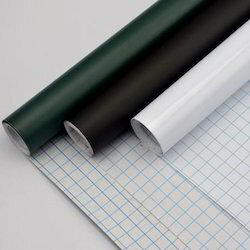 We are offering PVC Films for Black Board covering. These efficiently prevent the broad from from dust and scratches thus delivering long lasting performance. Available at industry leading prices, our products are designed and developed as per client's specifications and requirements.